D’Banj took home the award for Africa’s World Best Male Artiste at The 2014 World Music Awards which went down last night (May 27) at Sporting Monte-Carlo in Monte-Carlo, Monaco and beating out artistes like 2face Idibia, Akon, Banky W, Darey, Davido, Dr. Sid, Fally Ipupa, Femi Kuti, Fuse ODG, Ice Prince, Iyanya and others. The World Music Awards honours the best-selling recording artists from every continent. 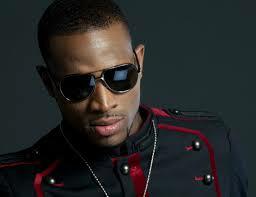 D’Banj also performed at the event, others that performed were Miley Cyrus, Jason Derulo, Mariah Carey and Rocky Martin.